American policing is in crisis. The last decade witnessed a vast increase in police aggression, misconduct, and militarization, along with a corresponding reduction in transparency and accountability. Nowhere is this more noticeable and painful than in African American and other ethnic minority communities. Racism-from raw, individualized versions to insidious systemic examples-appears to be on the rise in our police departments. Overall, our police officers have grown more and more alienated from the people they've been hired to serve. 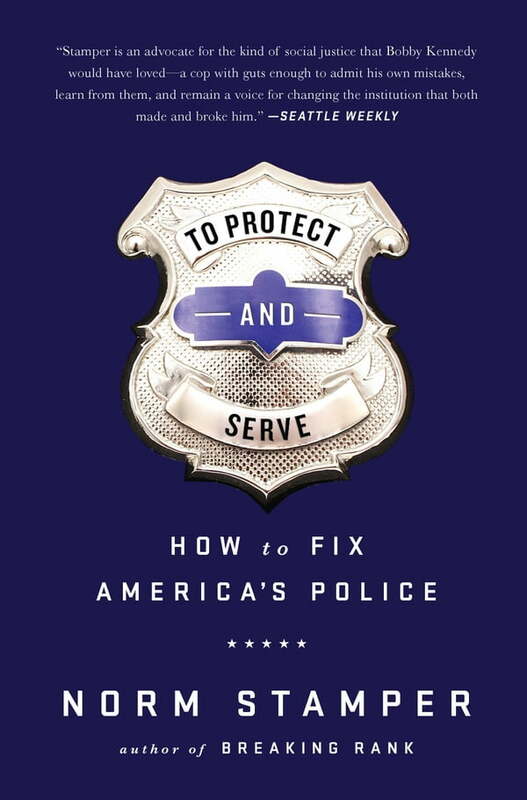 In To Protect and To Serve, Norm Stamper offers new insights into the conditions that have created this crisis, reminding us that police in a democratic society belong to the people and not the other way around. To Protect and To Serve also delivers a revolutionary new model for American law enforcement: the community-based police department. It calls for citizen participation in all aspects of police operations: policymaking, program development, crime fighting and service delivery, entry-level and ongoing education and training, oversight of police conduct, and, especially relevant to today's challenges, joint community-police crisis management. Nothing will ever change until the system itself is radically restructured, and here Norm Stamper shows us how.